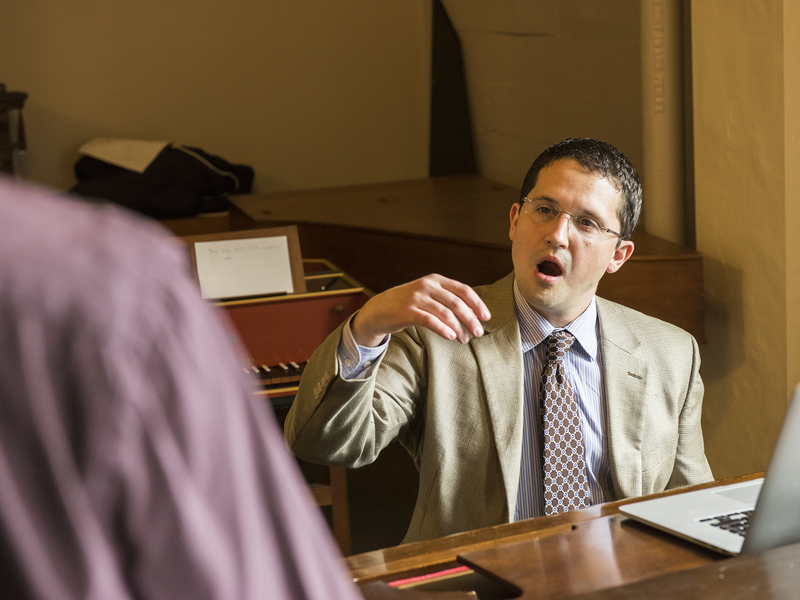 NEC’s Vocal Pedagogy program, led by Ian Howell, creates a valuable space at the Conservatory in which students may study the history of their art form, consider the wisdom that comes down to us from the past, and think about the way in which they carry on the practice of classical singing in the present. Firmly rooted in a historical study of Garcia, Marchesi, Lamperti, Bassini, and their like (pedagogues who knew how to build strong, flexible voices), the curriculum examines how a teacher may condition a singing body and bring it into a state of optimal coordination. This approach is blended with cutting-edge research, anatomy, literature, history, comparative pedagogical studies, historical recordings, computer analysis, and voice synthesis to provide students with a comprehensive understanding of the function, resonance, registration, and potential of the human voice. The NEC Voice and Sound Analysis Laboratory is the first of its kind in Boston. Students are able to use this facility for real-time biofeedback, research projects, and to hone their ability to hear—first with, and later without computer assistance—the characteristic timbres of both successful and unsuccessful vocal registration. As a research resource, the lab allows us to take objective measurements of the often subjective act of singing. However, one of the greatest values of such a lab in a conservatory environment is to help cultivate—through ear training exercises—a more nuanced understanding of what to listen for in a singer. In a sense, we can use the technology to train our ears to not need the technology.